Chile, France, and California: great values in fruit-forward noir! It is good to note that Malbec and the rare French Cabernet Franc import aren’t the only great tasting grapes in Chile. 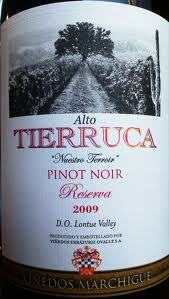 This pinot noir from the Lontue Valley offers what Chilean wines are famous for: great value. With a ripe ruby hue, it features a red fruit (plum, raspberry-cherry) forward palate with a touch of earth, mineral and oak and a hint of sunflower forward in the wildflower nose. Simple but balanced, and quite enjoyable with a clean finish, it’s easy to pick up and hard to put down. More importantly, it paired easily with a vegan portobello mushroom, then a chinese stir-fry medly and would easily be a crowd-pleaser with white meats or seafood. 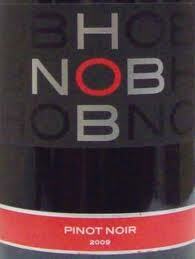 HobNob is a strangely French wine that is marketed like it’s a northern Cali. Good pinot is hard to do well and this is a perfect example: with color of a red plum and a nose featuring red carnation, this is a very black cherry-forward burst that finishes quickly with a touch of cola. It’s a bit sweet for dinner but might be ideal for an afternoon of friends before lunch, or a way to cool off after the hike or tennis game. Pairing would want anything with a touch of salt: cracker & cheese, baked brie, smoked salmon, etc. After opening, I tried this with a plate of baguette baked with chevre, gouda, and blue cheeses served along with some chilled red grapes, and thought is was an ideal complement. The last in my recent Pinot Noir group is a coastal Californian. Ripe red currants and strawberry with a healthy hand of tannin for a pinot, the nose featured red fruit again with hints of vanilla, granite, and oak. Forward in the palate, it has a tart and nearly dry finish with a flash of cola. 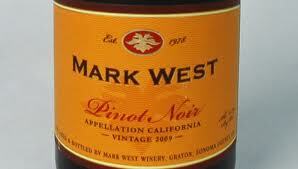 Like most pinot, it has a higher (13.8%) alcohol content. 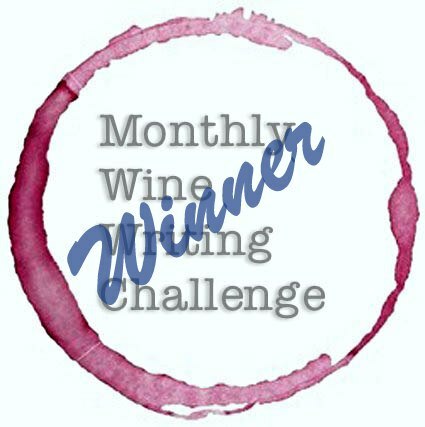 This wine is well balanced, not too sweet, yet a chewy, fun red that would wow the appetizer and cocktail party crowds!